Anyways for this weeks ManMon, I decided to go all lilac with Wet N Wild's On A Trip. It's a very lilac colour with blue undertone. I actually had troubles taking a photo of this nail polish since the camera I normally use for my blog is Nikon Coolpix P90 showed the polish in almost a bluey kinda purple and I wanted to show the polish close to its colour so I just used my phone's camera. (My phone is S3 by the way if you guys are curious). This is what the nail brush looks like. I forgot to put this in my previous Wet N Wild review. Here's the colour difference of the polish under a camera flash and natural light. 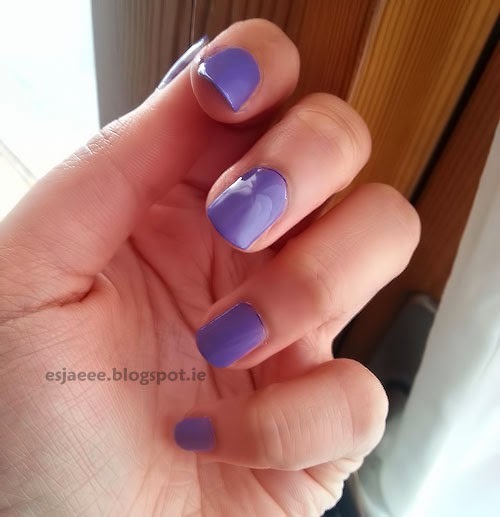 If you guys are interested about this nail polish's pros and con click here. I wish everyone a good, amazing week! 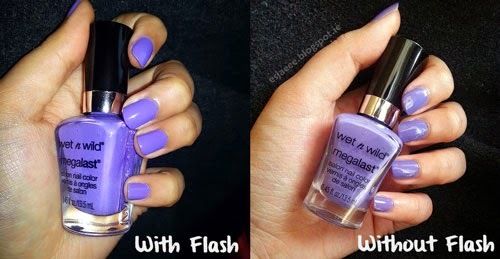 In this blog post, I will be reviewing and comparing matte top coats from ELF and Wet N Wild. Both are afforable in price but which one stands out more than the other? Here's what the brush applicator looks like. Drying time - It dries instantly! So a big yay! Wishing everyone a happy and beautiful day! Disclaimer: I am not paid for both brands to do this review. I purchased both products with my own money. I had my Economics exam this morning and I was so nervous and scared. So I said my prayers that God may give me the courage to face this exam and guidance. A couple hours later, when I saw the questions, they all spoke to me! I have studied every single part! I was delighted so I gave a big thanks to the Big Guy up there. In the evening, my friend and I were talking about God and our faith. She then quoted the lyrics of the song God is Able by Hillsong. I listened to it and said a little prayer. He will never fail us"
moved me to tears and made me feel God's love for me. I am such a blessed child of God! A couple of minutes, I opened my blog to write up this post but then I noticed that I received a comment! It was from Miss Sophie of http://miss-sophie-beauty-lifestyle.blogspot.de. She said that she had nominated me as one of the blogs that inspires her! I am so honoured, speechless and beyond happy! My blog is nowhere as good as hers or as good as the bloggers she has mentioned! So I am still wondering how I fit in that category but I am so blessed! Thank you Miss Sophie! And thank you to my Lord! 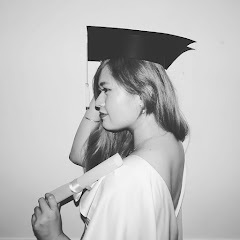 I hope to improve my blog as soon as my semester finals finished! And do the "very inspiring blog" award post! Also I have so much reviews piled up and ideas and hopefully I'll learn how to give this blog a new makeover! Wishing everyone a great week ahead! Be happy and stay happy! 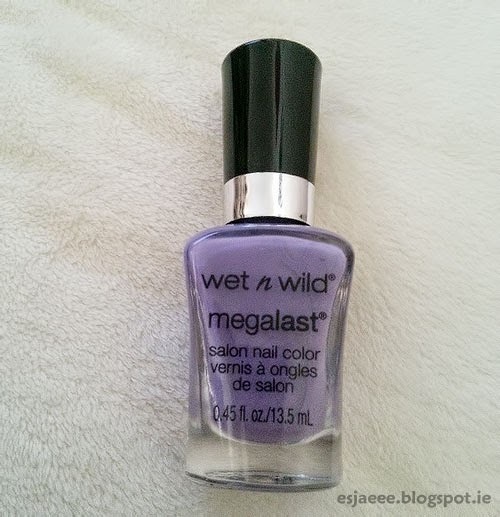 For this week's Manicure Monday, I've decided to wear Wet N Wild's Megalast nail polish in Disturbia. 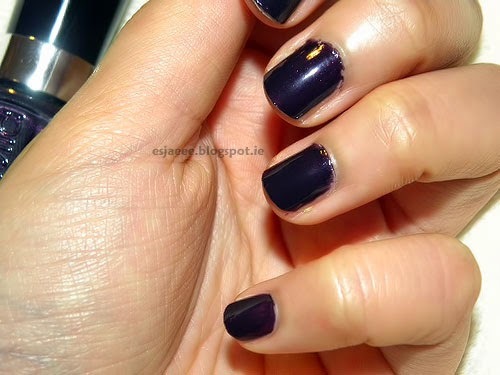 It's a deep purple nail polish (almost black at times) with tiny fuchsia specks. 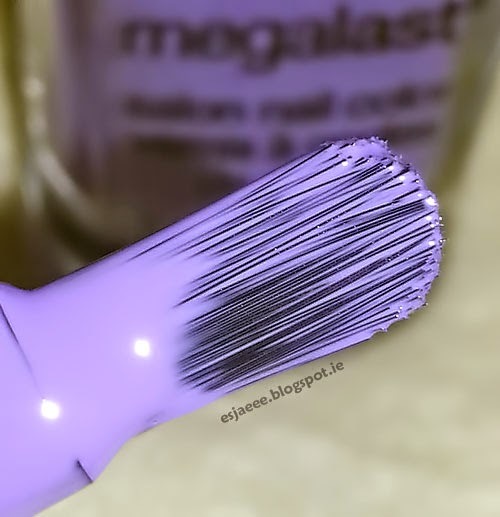 Lasting power - I am very impressed with the Megalast polish line. 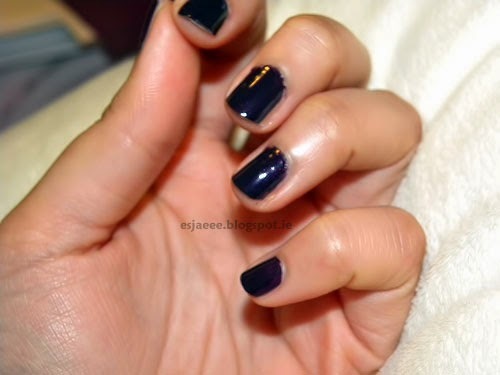 I have tested this polish before and I had worn it for 5 days and there was no chipping whatsoever! Here's my first every haul post! So I ordered a couple of makeup items from Boots and I got it delivered at my chosen Boots store. My experience with their online shopping and store delivery was GREAT! I ordered three Sleek Makeup palettes and a blush on Monday and I got an confirmation e-mail that I would be receiving my order on Thursday (which is today) if things would go well. I'm glad that I got it today and it was so hassle free! This what it looked like when I opened it. Inside the parcel, there was the items that I ordered and a sheet with my order details and also instructions on how you can return the products if you want. 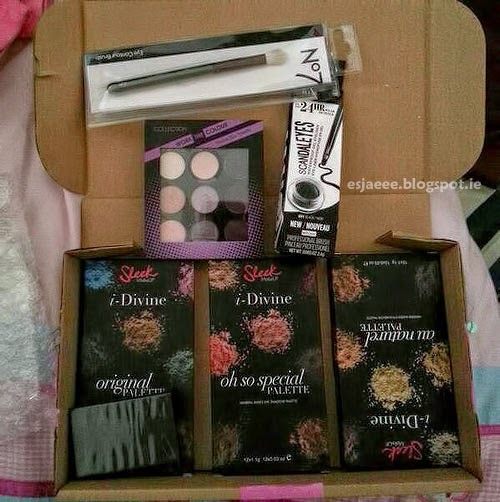 The only thing that kinda disappointed me was that only two palettes were in bubble wrap and the other palette and the blush were just at the side without any bubble wrap. My OCD kicked in and I was scared that if I'd open them that they'd have cracked but fortunately they were all in tack. So I guess it wasn't a big deal. I also did some makeup shopping with my sister in the store since I had a 100 points coupon. I have own a couple of No7's eye contour brush and I love it but I gave one to my sister and I happened to lost mine. The Collection eyeshadow palette is a gift to my sister. Hopefully she'll allow me to swatch them. I'll be reviewing/swatching these products hopefully soon!